Thanks to working with the Boys and Girls Clubs of Maui, Hawaii we also had a chance to work with the Boys and Girls Clubs Hawaii Alliance which includes all of the other islands of Hawaii. 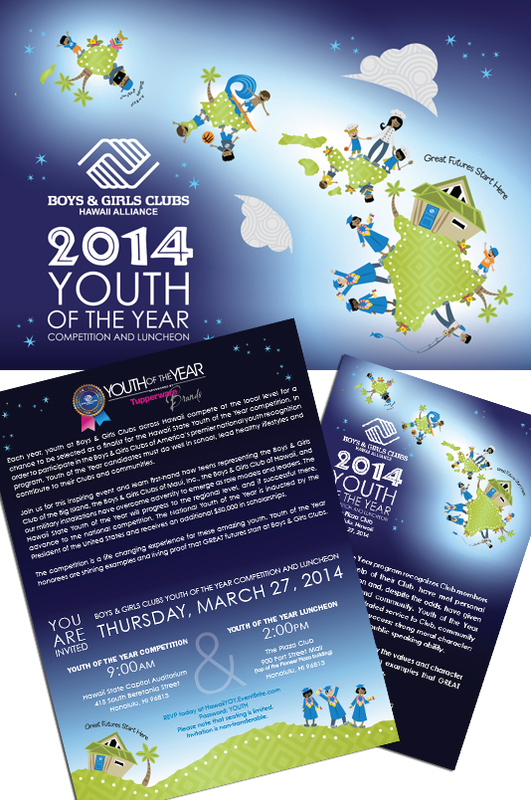 They loved the illustration work we did for BGCM’s Youth of the Year Event and wanted the same materials for the state competition. So we got to use our fun characters outlining all of the islands for their Youth of the Year invitation and event program.